What exactly is a wedding planner? Are they the same as decorators? Are they like J-Lo in that movie? Right now, you’re probably spending a lot of time and energy trying to please everyone, keeping everything organized, finding the right vendors, picking the perfect details, deciding so many things, and making sure everything runs smoothly. It’s a lot! I remember feeling totally overwhelmed. Imagine if you had someone to take care of all those parts that you don’t want to deal with. That’s where I come in! Couples I work with love that they can relax and enjoy both their engagement and wedding day. Not sure if it’s something you need? Here’s my top five ways a wedding planner benefits you (no matter how big your budget or guest list!). This might come as a surprise, but paying for a wedding planner can actually save you money! Here’s how. Some people (of course not you!) are not very good at sticking to a budget. And on your wedding day, there’s a lot of pressure to live up to everyone’s expectations. You want to wow your guests! A wedding planner will help you set a realistic budget and help you stick to it (without giving up on style!). A planner can also help you negotiate contracts with vendors. They know the going rates and are there to make sure you don’t pay extra. Some vendors even give referral discounts that planners can pass along! The biggest way a wedding planner saves you money is by avoiding costly mistakes. There’s a lot to remember when you’re planning a wedding! A wedding planner will make sure you’re prepared so you don’t end up spending extra to have the right colour flowers shipped in last minute when the florist didn’t understand your order. This one is pretty obvious. Planning a wedding takes a lot of time. It’s basically like adding a second job, and who has time for that? If you don’t want wedding planning to take over your life while you’re engaged, then a wedding planner is what you need. Hiring a planner let’s you get back to date nights with your fiance that don’t involve guest lists, and gets you off of Pinterest when you’re supposed to be working. Planners do things like showing you the best venues and locations that suit your budget and vision. Finding the best vendors in your price range (who are actually available for your date!). Scheduling all your meetings and communicating with vendors. And even sending invitations and tracking replies. Not only is it a wedding planner’s full time job to plan your wedding, they have training, they have experience, and they know the vendors, so they’ve already done most of the work before you even hire them! Schedule your Free Initial Meeting to chat about your needs. 3. Bringing your vision together. With the dawn of Pinterest, planning a wedding has become even more intimidating. There’s so many ideas, so many beautiful arrangements, how can you ever choose? And once you have chosen, how do you put it together so you don’t end up as a Pinterest fail? A wedding planner has the expertise and the vendor connections to help you design a wedding that is unique to you. They’ll help you pull together all the disjointed ideas that are filling your board. Then they’ll take all those crazy ideas and find a way to make it happen so your day is one that your guests will never forget! Being engaged is supposed to be fun, right? Yet it can be one of the most stressful times in a relationship. With so many decisions to make, planning a wedding can put a strain on even the closest couples. If your guest list is over a 100 people, your engagement is less than six months, your wedding is at a non-traditional venue or you live away from your wedding location, then you’ve added even more stress to the process. A wedding planner is there to organize a plan and handle the logistics so you can relax and enjoy your engagement. A planner makes sure you don’t forget to plan for anything or pay for anything. They calm your nerves and are your voice to vendors or family members when you can’t or don’t want to deal with it yourself. 5. Managing a perfect wedding day. Maybe you think all this planning stuff is fun and you’ve got everything lined up perfectly for your day. I totally get it! You still want to make sure everything to turns out the way you’ve planned. And you’d probably like to relax on your wedding day too! 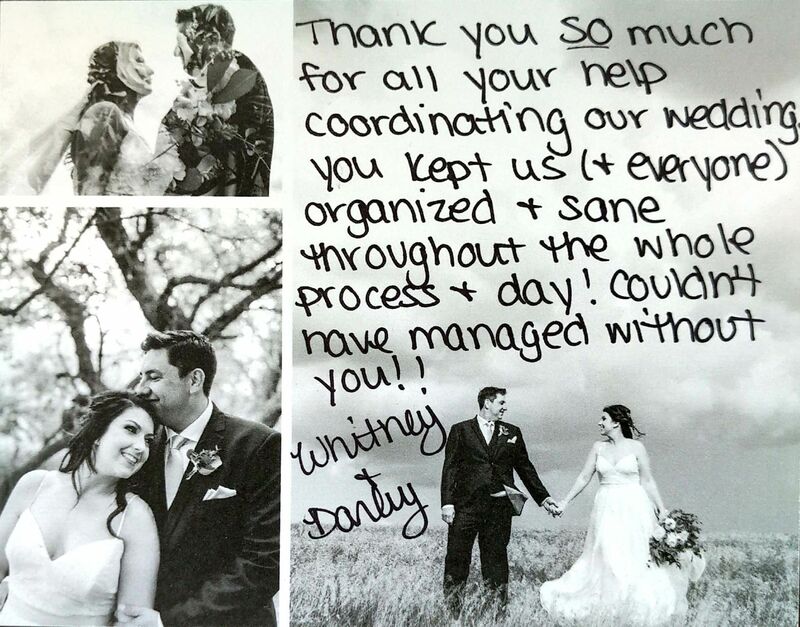 A wedding planner is the go-to person who takes all the responsibility off of your shoulders on your day. Your planner creates a detailed timeline of your wedding weekend that tells everyone involved when to do what. They review your vendor contracts to make sure everything is there, correct, and according to your plans. Then a planner takes all those preparations and manages every detail of your day, exactly according to plan. Supervising vendors, decor setup, deliveries, crazy relatives, and unpredictable emergencies. Having a wedding planner takes a lot of stress off of parents and friends who usually end up filling in the gaps. Now you and your guests are free to enjoy your perfect day! They can also counsel you on proper etiquette and current trends, like tipping protocols and what order to walk down the aisle. They can set up your wedding website and run it for you. They’re even the go-to person for making sure all your wedding gifts, cards, rentals, and borrowed items get to where they belong after the big party. 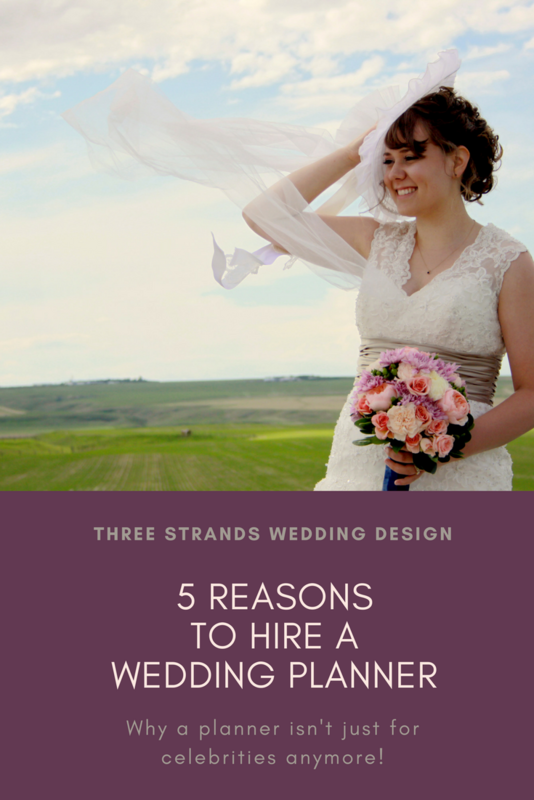 You might think hiring a planner is only for the rich and famous, but not anymore! A wedding planner makes sense for any bride on any budget. A planner is simultaneously adviser, friend, coach, accountant, negotiator, problem solver and so much more! Now anyone can hire their very own J-Lo…although not every planner looks as good in a pantsuit! Before you spend any more time or money doing it all yourself, download this free What Now?! Checklist to get you started on the right track. Already on your way? Schedule a free Initial Meeting and let me buy you a coffee while we talk about the best options for you to take advantage of a wedding planner for your unique wedding. It doesn’t cost you anything so claim yours today before you lose any more time!